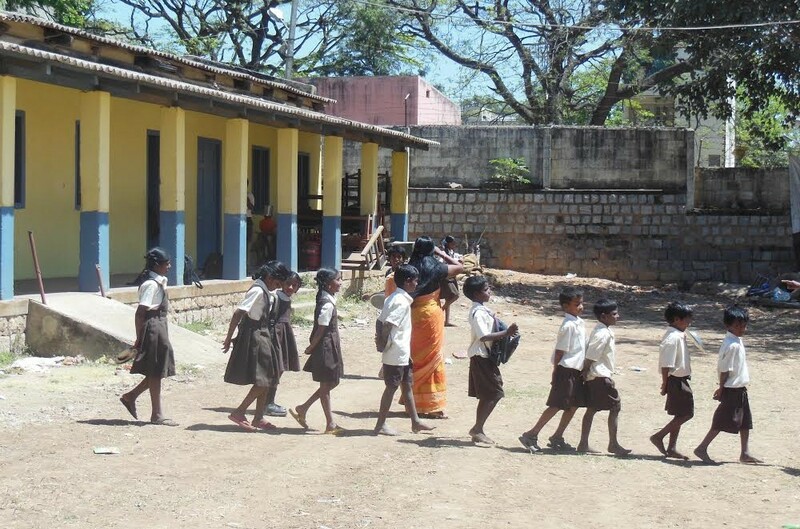 In 2013, our partner Ashwini Charitable Trust (S? ), Bangalore, was able to “adopt” the public primary school “Tamil Higher Primary School”, where 118 students are enrolled, but where only 70 attend regularly. First buildings were renovated, and the playground renovated; now, the goal is to mobilize volunteers and to provide support to students and teachers with educational materials, vaccination campaigns as well as with a program for the development of creative abilities.